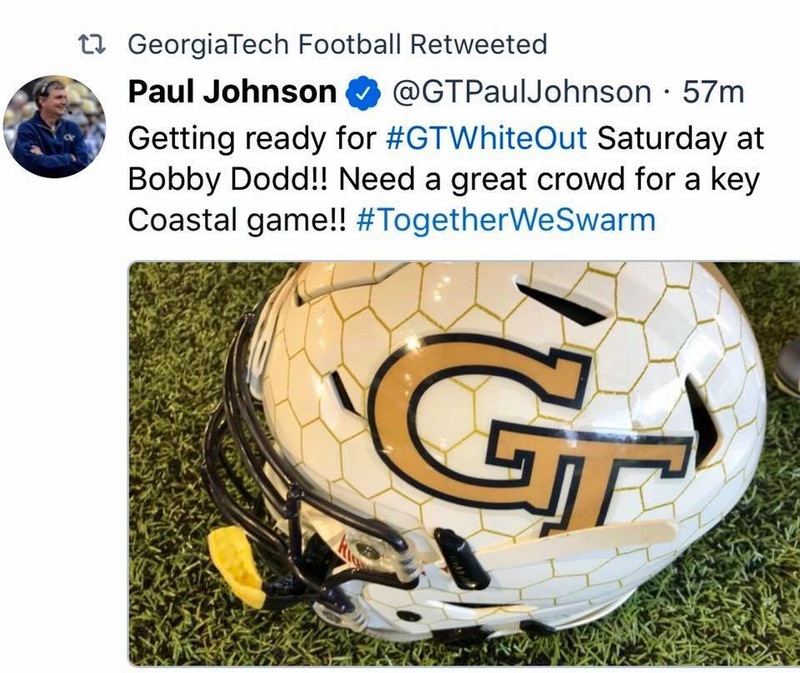 After last season’s loss to UNC, the Georgia Tech Yellow Jackets, take on the Tar Heels at Bobby Dodd on September 30th at 12 o’clock noon! Following last years 48-20 defeat behind UNC RB Elijah Hood’s 3 TD game, the Yellow Jackets look to get revenge on UNC who are without their starting QB and RB from that game that both went to the NFL. With this matchup approaching quickly, the Yellow Jackets have solidified themselves as being a triple option team that runs up the scoreboard. On the other side, a struggling UNC team comes in having a lot of trouble stopping the run. Knowing how both of these teams operate, I see this game getting out of hand really quickly. In a big turning point for this game coming in, UNC announced that they will be without leading WR Austin Proehl who injured his knee in last week’s game against Duke. With this announcement the Tar Heels now have lost serious depth with 13 season ending injuries occurring in the first 4 games of the season. On the Yellow Jackets side of the ball, their offense has been rolling behind starting QB TaQuon Marshall and RB Kirvonte Benson. As they continue to improve offensively, there are a few issues that need to be cleaned up. After multiple carries, Kirvonte Benson has had some difficulty holding onto the ball which caused him to lose 2 fumbles last week against Pittsburgh. He along with a few teammates have all fumbled making the offense go stagnant. With the GT run game at an all time high, look for them to continue to attack the inexperienced UNC defensive line and put together long runs. Coach Johnson has called for a White-Out, and wants everyone to be loud and proud on Saturday! Previous Post Previous post:BREAKING NEWS: Atlanta United is Playoff Bound!